AJCP's "An Essential Pathology Package for Low- and Middle-Income Countries"
Check out the recent publication from the American Journal of Clinical Pathology, "An Essential Pathology Package for Low- and Middle-Income Countries"! This publication reviews the current status of pathology services in LMIC's and provides guidance to policy makers as countries move toward universal health care systems. Four of the authors, Mike Wilson, John Flanigan, Ken Fleming, and Modupe Kuti, are ASAP members! Read more about AJCP's "An Essential Pathology Package for Low- and Middle-Income Countries"
ASAP will be presenting at the African Society for Laboratory Medicine’s 2016 Conference in Cape Town, “Laboratory Medicine in Africa: Combatting Global Health Threats”. Read more about Make a Donation! ASAP member Akin Abayomi presented on biosecurity to the Committee on the Comprehensive Review of the Implementation of Resolution 1540 from June 20th - 22nd at the United Nations Headquarters in New York City. He discussed the lack of skilled manpower and infrastructure for healthcare in Africa. From May 2nd-4th, 2016, eleven ASAP members attended NCI's Global Action in Pathology Conference in Bethesda, Maryland. Over 50 pathologists from across the globe participated in this strategic planning meeting. ASAP's members met on May 3rd to discuss how ASAP's strategies align with the global pathology agenda. 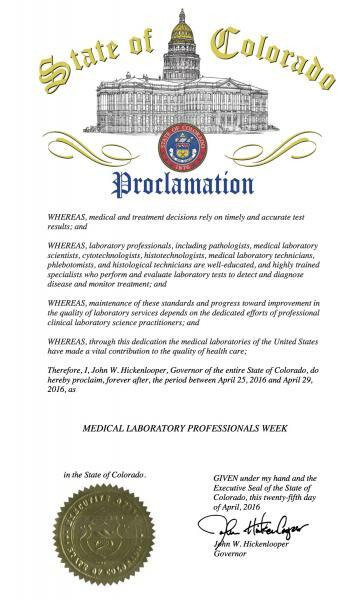 April 25th - April 29th is Medical Laboratory Professionals Week in the state of Colorado! Clinical laboratory professionals play a vital role in the diagnosis and prevention of disease around the world. 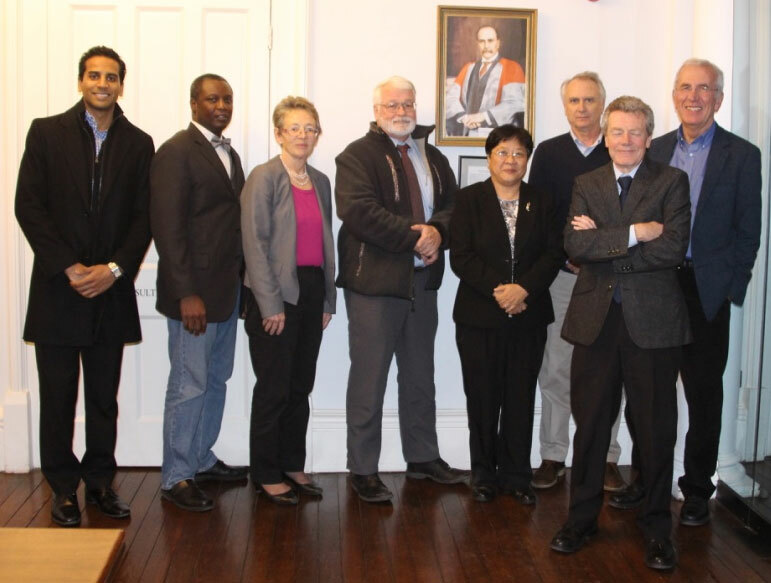 Mahendra Naidoo, Modupe Kuti, Susan Horton, John Flanigan, Lai Meng Looi, MLW, Ken Fleming, Chris Price.